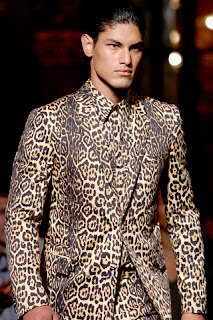 PR: Jonathan, you represent a strong, passionate Latin man, so-called man from Tisci's tribe! Do you think you are like that in everyday life? JONATHAN MARQUEZ: I am passionate about life. PR: How do the clients and agents describe your look? JONATHAN MARQUEZ: Clients describe my look as strong/diverse. PR: What clicked between you and CLICK? You have been asked to model many times but it's only when they approached you that you said yes. PR: What does a Givenchy casting look like? JONATHAN MARQUEZ: I have always been directly booked, but I can only imagine it would be the most diverse and beautiful group of people. PR: Tell us your impression of LEA T. We think she is wonderful. You? JONATHAN MARQUEZ: Lea T is always a pleasure to be around and was great to work with. 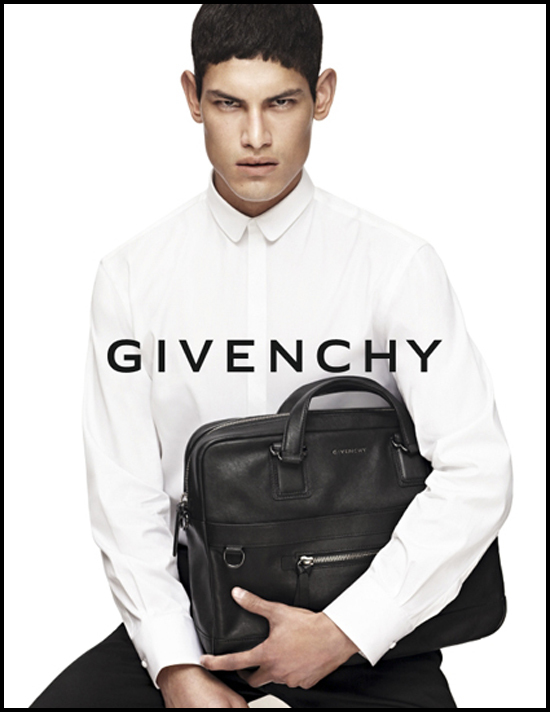 PR: Were you aware about how coveted Givenchy campaign is? JONATHAN MARQUEZ: I was very aware of how coveted the Givenchy campaign was and was very happy to be shooting it. PR: How long did it take to shoot it? JONATHAN MARQUEZ: It took about 15 hours. PR: What was more difficult to shoot: main campaign or Givenchy accessories? PR: You wore a leopard suit on the Givechy runway. Would you wear it in private? JONATHAN MARQUEZ: I most definitely would. No doubt. PR: How many Givenchy items do you personally own? Name a few…. JONATHAN MARQUEZ: I own a couple of pieces. Winter coat, The notorious t-shirt, socks etc. PR: So… are you single? PR: Which half do you like better - Guatemalan or Puerto Rican? JONATHAN MARQUEZ: The only side I know is my Guatemalan. I have been more connected to Guatemala my whole life. PR: Do you know how to be gentle? JONATHAN MARQUEZ: I am gentle with the people I love and the people that love me. PR: You are very interested in music, aren't you? JONATHAN MARQUEZ: Producing music is my personal outlet and passion. PR: Tell us more about that. Do you have any projects or stuff you have been working on? JONATHAN MARQUEZ: I am releasing a mix tape called “Peace of Mind”. PR: Who influenced you musically? JONATHAN MARQUEZ: Sade, Ryan Leslie, The Foreign Exchange, and many classical composers. PR: 5 most played tracks on your iPod. JONATHAN MARQUEZ: I have over 4000 songs. There is no way I could choose just 5. PR: Where do you go out in New York? JONATHAN MARQUEZ: East Village and sometimes Meat Packing. PR: How often do you go back home, to Santa Monica? JONATHAN MARQUEZ: A few times throughout the year. PR: Which basketball team do you like? JONATHAN MARQUEZ: The Los Angeles Lakers. JONATHAN MARQUEZ: I ball for fun. Would need Kobe’s approval.